Geomodeling Technology Corp. is pleased to announce the release of AttributeStudio™ 7.7, with a new function of cross-validation to improve reservoir property prediction from seismic attributes and “sweat-spot” mapping for horizontal well drilling. The usability of correlating production data and seismic attributes have also been enhanced in this release, allowing for faster workflow for hundreds of horizontal wells. 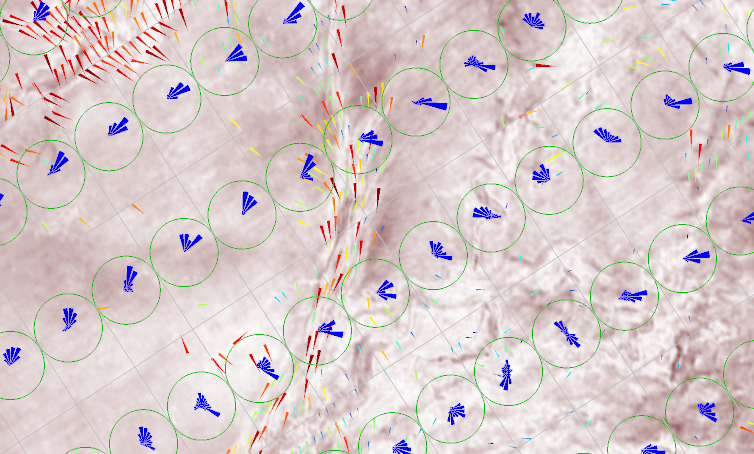 “The improved usability of correlating production data with seismic attributes in this new release allows our users to quickly work with hundreds of horizontal wells and many seismic attributes. The new cross-validation function provides a more realistic assessment to the ‘sweet spots’ predicted from seismic attributes, and help our clients to reduce the risks of horizontal well drilling, which is critical in the current low-oil price environment”, says Dr. Renjun Wen, Founder and CEO of Geomodeling Technology Corp.
Geomodeling is committed to providing our users with the best tool that keep them at the forefront of quantitative seismic interpretation, for both conventional and unconventional plays. AttributeStudio is a true integration toolbox for geophysicists to maximize the values of their existing data for better drilling locations in both conventional and unconventional plays. Since the release of 7.5, AttributeStudio supports correlation of production data and seismic attributes in a near wellbore volumes, together with drilling, completion, and any user defined parameters. Our users can verify if the variability of production rates observed in horizontal wells are related to seismic attributes. Our clients can map “sweet spots” from seismic attributes before drilling and improve the success rate in both conventional and conventional plays.